BOOK HUA HIN HOTEL WITH SPECIAL OFFER RATE AT NOVOTEL HUA HIN CHA AM BEACH RESORT & SPA, WHERE YOU CAN SIMPLY ENJOY & RELAX DURING YOUR STAY. 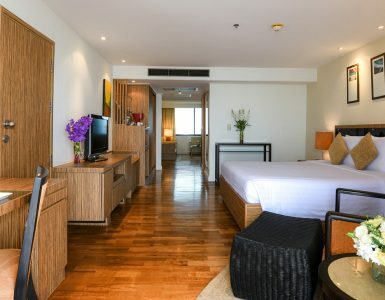 Book Hua Hin Hotel, you will love beautiful rooms with a modern style and excellent features, all rooms are facing the stunning sea which you can enjoy from your private balcony. Witness the beautiful sunrise each day as you prepare for the day. Enjoy restaurants with a wide selection at our hotel with both Thai and International cuisines. Our spacious pool with a waterslide makes a lasting impression for our guests who stay with us. This Holiday, book your Hua Hin hotel to make your holiday become a special day and more. 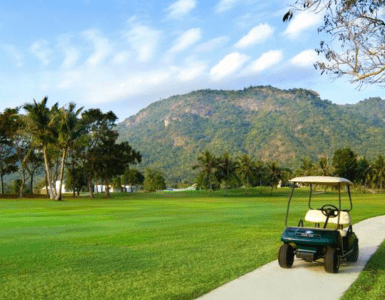 Novotel Hua Hin Cha Am Beach Resort & Spa is one of the best Hua Hin Beach Front Resorts. Book your Hua Hin hotel with us today at Novotel Hua Hin Cha Am Beach Resort & Spa. Offering you a choice of six accommodation types starting from Superior rooms, Deluxe rooms and Junior suites complete with additional living room and mountain views. To compliment your holiday, we also have our Executive Rooms and Executive Suites. To finish, our Presidential suite which includes 2-bedrooms, living room and kitchen is the perfect space for a larger family. All rooms can add an extra bed and a number of double or twin bedrooms with a connecting door. Discover an award-winning family hotel by yourself and see why our hotel has been gifted such an accolade. Don’t hesitate to book Hua Hin hotel for your family trip and have a nice stay! Book your Hua Hin hotel easily, just check our hotel website where you will find various promotions. You can choose from one of the promotions that suits you or call our hotel reservations team directly on the number: 032708300. We are ready to help you book this Hua Hin hotel. We look forward to you, your family and loved ones staying at the Novotel Hua Hin Cha Am Beach Resort & Spa.